Adapted from the memoirs of Ilga Katais-Paeglis Vise. A NEW TOIUR FROM A NEW COMPANY! 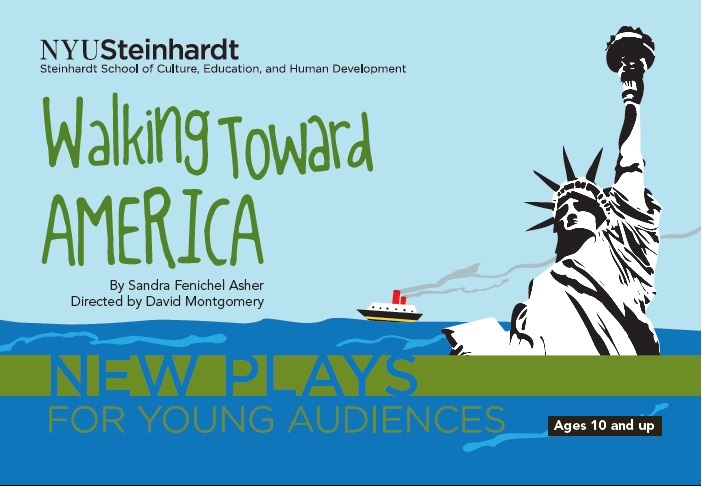 HEART FORWARD ARTS will present performances of “Walking Toward America” in Massachusetts and beyond beginning in May, 2019. Information about tickets and tour bookings at http://heartforwardarts.org. Winner of an American Alliance for Theatre and Education Unpublished Play Reading Project Award. Selected for New York University’s New Plays for Young Audiences developmental workshop with readings at the Provincetown Playhouse in Greenwich Village. Selected for the United Solo Festival at the Studio Theatre in New York’s Theatre Row. An encore production featuring Annie Montgomery was presented in January, 2018, at the Springfield Contemporary Theatre in Springfield, MO. http://springfieldcontemporarytheatre.org. Natalie Burgess was featured as ILGA in the developmental readings at NYU’s Provincetown Playhouse, directed by David Montgomery. World premiere production: The Open Eye Theater (http://www.theopeneye.org), Margaretville, NY. Photo by Jill Ribich, Catskill Images. 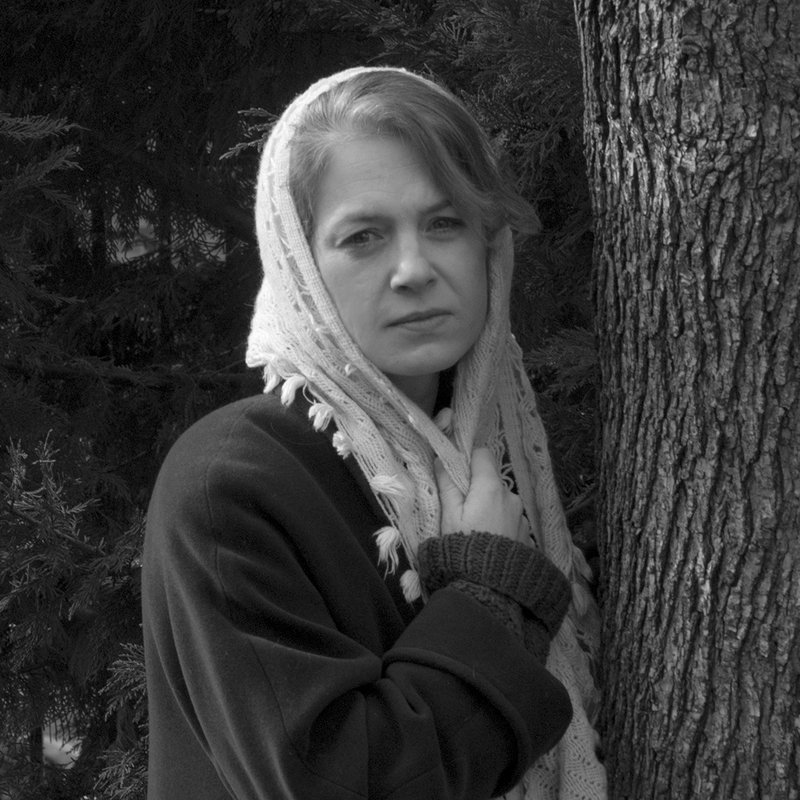 Patricia Van Tassel as ILGA in the Open Eye production, directed by Amie Brockway. 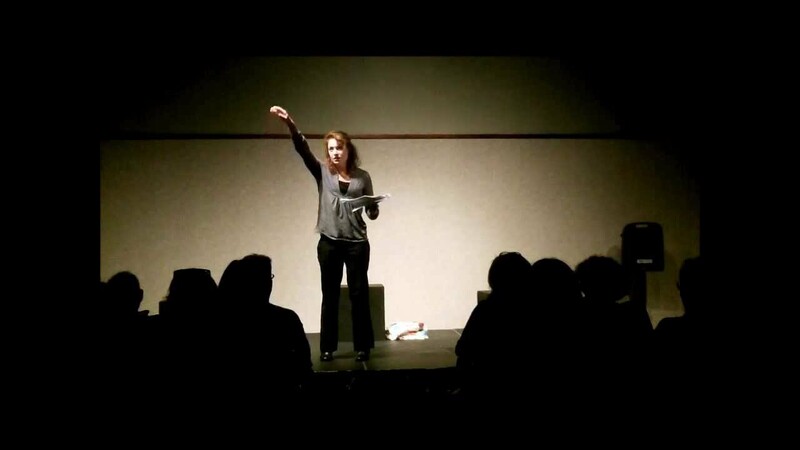 Annie Montgomery as ILGA in a staged reading at the Library Center, Springfield, MO, directed by David Montgomery. 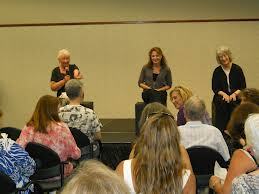 Ilga, Annie, and me, Library Center talk-back. 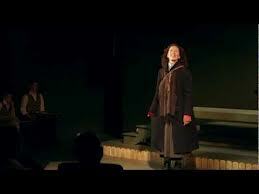 Annie Montgomery as Ilga in “Walking Toward America,” United Solo Festival, NYC. Cast: 1w. On the eve of a three-generational pilgrimage back to her Latvian homeland, Ilga speaks to her grandchildren about their great-grandparents. Her memories become the action of the play, all seen through her eyes at ages 4, 10 and nearly 17. At the center of her narrative is the winter of 1944–1945, when 10-year-old Ilga and her parents leave Riga, Latvia, to escape the Russian occupation of their city. Soon they are taken into a German forced-labor camp, where they spend a brutal month but fare better than the Jewish prisoners held on the other side of a barbed-wire fence. Eventually, they walk 500 miles across frozen, war-torn northern Germany, survive strafing by Russian planes and find their way to a refugee camp in western Germany. Six years later, they sail through an Atlantic storm to safety and freedom in America. What makes Ilga’s event-filled story unique and compelling is that she is a child witness to the devastation of war and the sources of strength that get her family through it. 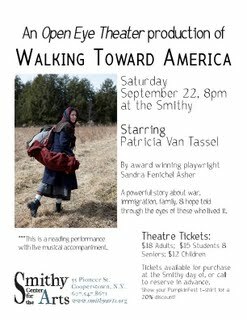 In Walking Toward America, one actress plays Ilga from grandmother to carefree 4-year-old to frightened 10-year-old to resilient teenager, plus all the characters that populate her remarkable journey. The result is an intensely personal narrative, laced with warmth, humor, courage and determination, that explores all that it means to be an ordinary family caught up in extraordinary circumstances. Area staging. Approximate running time: 75 minutes.